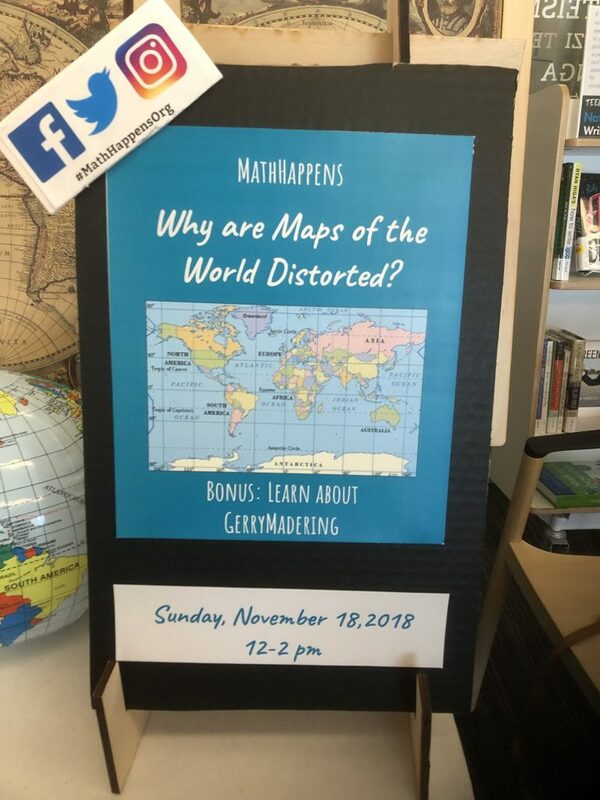 Exhibiting a Globular Map, an “Innovative” Mercator Map (1500s) and a Modern Map to show the way maps changed over time for purposes of navigation. 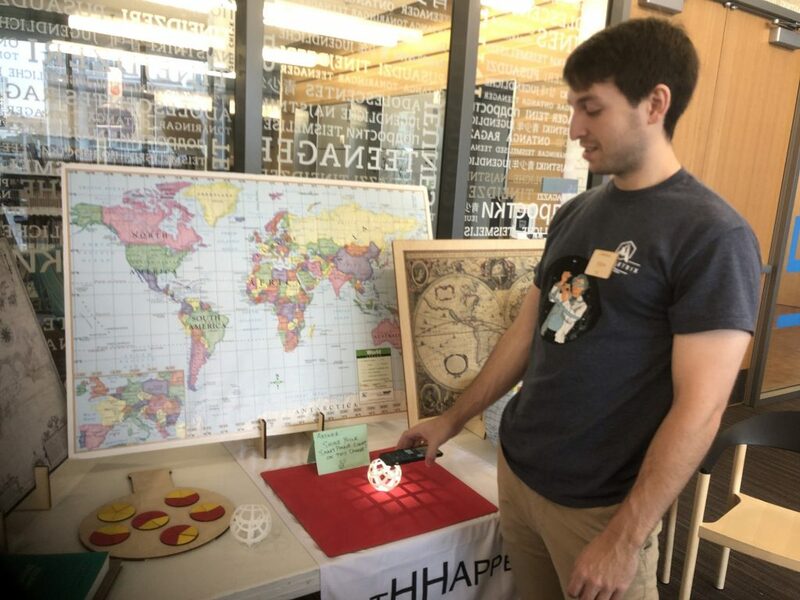 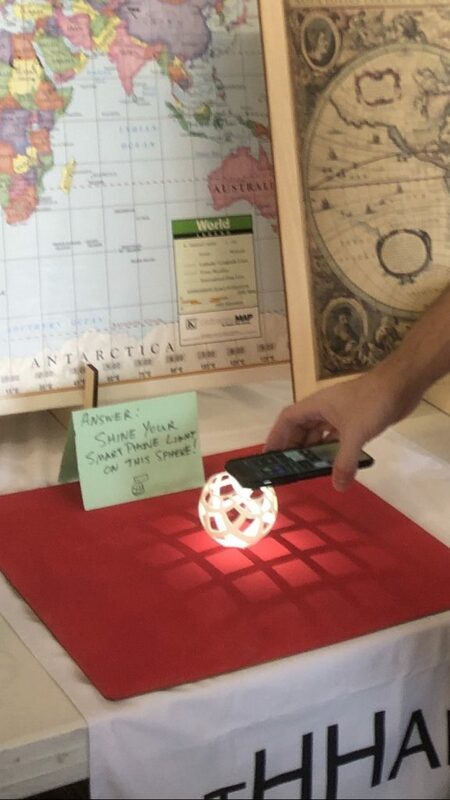 The Globe shows us the true proportions of the continents, and the 3d printed Stereographic shell shows how translating a sphere to a flat surface can cause the kinds of distortions the Mercator map. 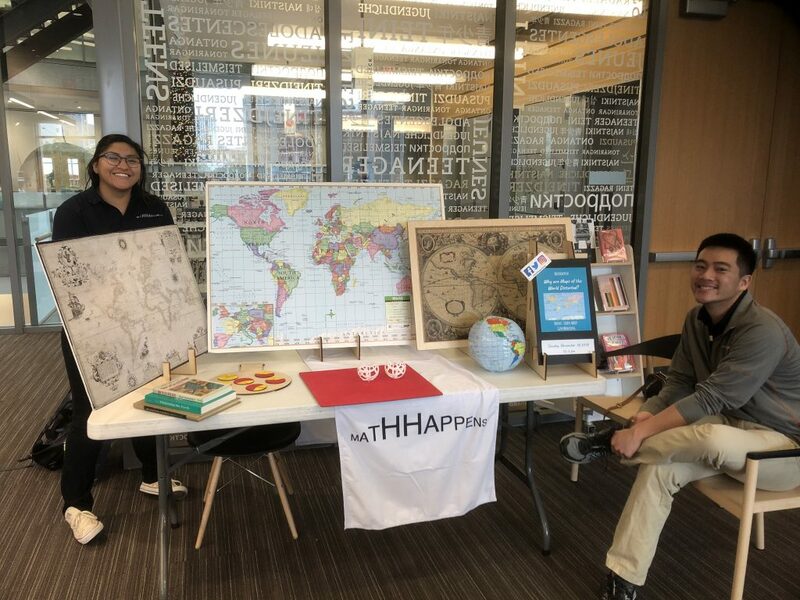 Ben, Paola and Alex were on hand to share with guests to the Teen Room.